RSS (Really Simple Syndication or Rich Site Summary) is an Internet tool, which allows you to send out summaries of what’s new on a website in the form of headlines and summaries. Using this you can send out information from your website and have the recipients see it, even if they haven’t visited your website today. A series of RSS publications from the same source is called an "RSS feed". RSS feeds are commonly seen on websites that update often, like news sites or blogs. To read an RSS feed, you will need an RSS reader of some kind. It can be a standalone program, or a part of an internet browser or email program. If you use RSS for learning, it is useful to have access to a website that updates on a somewhat frequent basis and with an RSS set up. The students will need an internet connection and an RSS reader to be able to subscribe to your website. When the RSS is set up, the updates on the website can automatically be sent out to the RSS subscribers who will be able to see the updates without needed to keep an eye on your website. This is extremely useful when it comes to sudden updates, like rescheduling of classes or similar urgent administrative messages. It is also possible to use RSS as a news collector, by setting up a subscription to several different RSS feeds and collecting information from these. This allows both teacher and student to gain an overview of the field covered by the RSS feeds. It is important to choose the relevant RSS feeds that match the course and materials that the students could want to use. RSS can also be used to make the students into the RSS authors. By having each student create their own RSS feed and have them subscribe to each other, to form a collaborative network where both students and teacher share RSS updates about the subject at hand. This is similar to using social bookmarks, but with RSS, the students are not just finding material to share, but actively creating it. 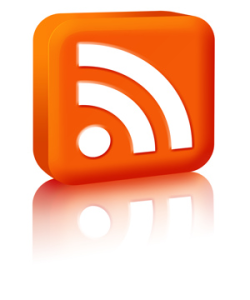 Some blogs have a built in RSS feed generator, which can help with the technical parts of it. You need computers and an internet connection. An internet server with RSS enabled is also helpful to have, or some kind of blog software with RSS built in. The image on this page is provided as an illustration only, and is not an actual active RSS feed.